IBM X3250M4 2583IEA supports Intel Xeon E31200v2 series processor. IBM X3250M4 it allows maximum memory 32 GB and 8 TB maximum storage.Likewise is our IBM Rack Server X3250M4 (2583IEA) (quad core) with a low price. 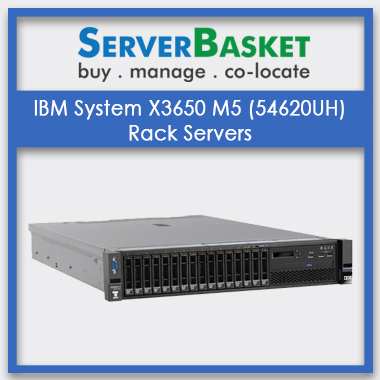 The Rack Server IBM X3250M4 2583IEA comes with next-generation performance with a compact design and options that can be easily configured. Apart from improved performance it reduces your cost as well. The server comes with an Intex Xeon E3 1220 V2 processor with quad core and dual core processors that are configure to order (CTO) with a compact 1U rack design and is ideal for security, firewall, name server, domain controller and disaster recovery types of applications. 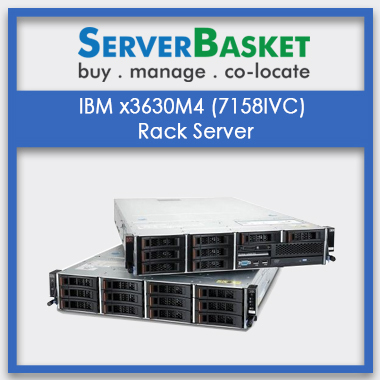 The IBM x3250M4 2583IEA Rack server comes with features that not just help in boosting the performance but improves the scalability that also in cost that are cheap on the pocket thanks to the :Compact 1U rack design with the single socket X3250 M4 with the new quad core,4 cores of processors that allow efficient usage of multi-thread applications. The IBM X3250M4 2583IEA rack server Intex Xeon E3 1200 v2 processors come with a memory option of 8 MB L3 and supports 4 DIMM slots that support UDIMM. The memory is expandable up to 32 GB with UDIMMs of four 8 GB DDR3 UDIMM to protect all valuable data. The memory is protected under ECC. The rack server is packed with an Intel C202 chipset. 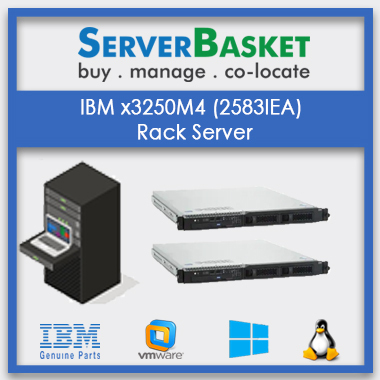 If you buy the rack server IBM X3250 M4 2583IEa from Server Basket you will receive a 3 years seller warranty. The seller warranty is available as a replaceable limited warranty that takes effect within 9X5/next-business-day (NBD) responsive time. The warranty is liable only for the hardware. With 3 years seller warranty available the server has become the sale dominated server in the market. The storage is very vital as vital data is required to be saved hence, the maximum storage 8.0TB comes with a 1x500 GB SATA and 7200 RPM; 3.5. The hard drive is backed with Intel Rapid storage technology 4 11. X (Intel RST) that guards your valuable data and stores them on not just one but additional hard drives hence, you shall not face any data lose even if your hard drive fails to work. Server Basket offers the best delivery in India. 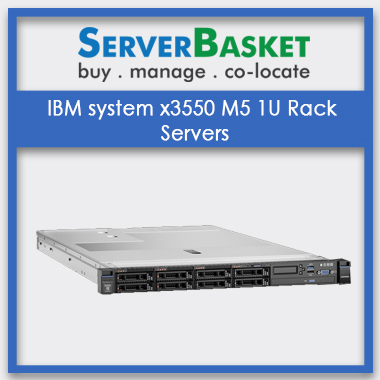 The rack server IBM x3250 will be delivered along with Limited seller Warranty Statement notices that vital Instructions for the rack installation A CD with all the installation details and a user guide The Rack Mount Kit Along with a 2.8 m C-13 C 14 power cord. 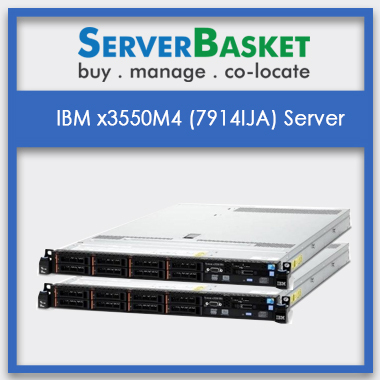 We ensure you that we deliver IBM X3250M4 Server to anywhere in India at lowest price. You will never get this price anywhere because we don’t have any dealers or distributors servers are directly from the manufacturers. Why late? 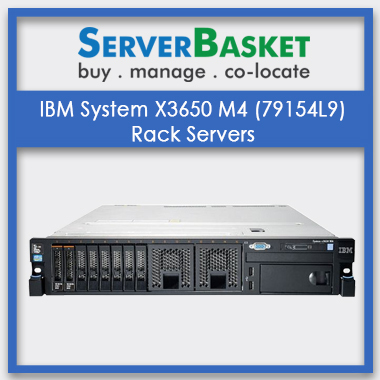 Buy IBM X3250M4 at cheap lowest price now...!!! HDD 1TB SATA 3.5" 2 TB SATA 3.5" 3 TB SATA 3.5"
I obtained new IBM x3250 server from server basket. The technical specifications supported by the x3250 server are reached to my requirements. I am happy with this service provided by the server basket. I bought x3250 server from server basket. It supports multiple operating systems according to my requirement I am satisfied. I am fully silicified with the service provided by the server basket. 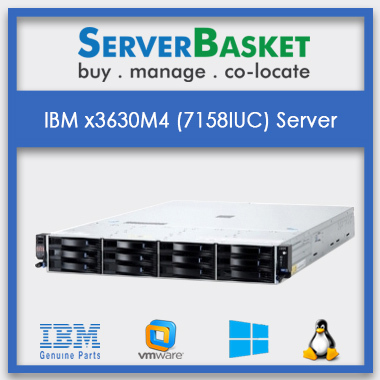 I purchased new IBM x3250 server from server basket. There will be no shipping charges for this server. I am silicified with the service provided by the server basket. What is the form factor of IBM X3100 M4 server? What is the default RAM provided in this IBM x3250 server? Default RAM provided in this IBM x3250 server is 32GB. May I know the IBM x3250 processor specifications? How many RAID controllers are there in IBM x3250 server? Does IBM x3250 support single/dual power supply? IBM x3250 support both single and dual power supply. How can I contact support team for price? You can contact support team through telephone, 27/7 online chat, mail. How many days are required to deliver the IBM x3250 server? Within 2 to 3 working days IBM x3250 server can be delivered. Can I know the warranty details of IBM X3100 server? 3 years seller warranty is provided for IBM x3100 M5 server.